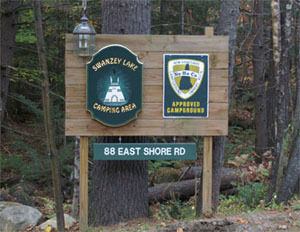 Welcome to Swanzey Lake Camping Area, in the heart of the Monadnock Region, where you will discover over 100 cozy, comfortable wooded sites not far from the shore of a crystal clear lake. We offer spacious tent and trailer camping and can accommodate most RVs up to 35' in length. Choose from rustic tent (no hook ups), water and electric, and full three way hook up sites. Cable TV sites are now available for an additional fee. 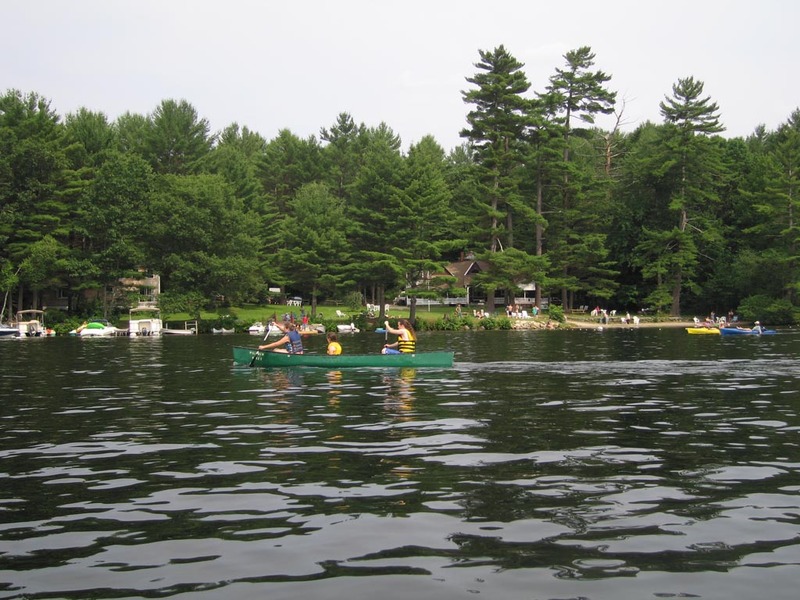 At Swanzey Lake you'll experience Family Camping at its best. Our group camping area accommodates several RVs or tents so you can camp together in your own special spot. Forget something? Not to worry! We have a fully stocked camp store and carry a complete line of RV parts, groceries, snacks, and supplies. There is also convienently located shopping for any items we may not have on site. Row boats, paddle boats, kayaks, and canoes are available for rent by the hour or the day. Boats are allowed, and for a small fee, we offer moorings by the day, week or season. At our lodge you can sit on one of our many wooden rockers, relax, make new friends, and watch our breath taking sunsets. We are open from May 1 to November 1 and have several seasonal sites available. All have three way hookups. You are cordially invited to join our Swanzey Lake family. For more information, see our rates page. Oh yes, pets are welcome in designated areas at Swanzey Lake Camping Area! No pets permitted on the lawn or beach. Please remember, you are responsible for your pet!